Does Your Insulation Supplier Belong to NIA? It is time to ask the question: Does your insulation contractor, distributor, or manufacturer belong to the National Insulation Association (NIA)? If the answer is no, then you should consider changing to a vendor that does belong to NIA. Why is this so important to you and your facility, or to the owner you are designing a building for? There are many reasons you should choose an insulation supplier that is a member of NIA. NIA is the leading insulation trade association in the United States and Canada and is staffed by hard-working, knowledgeable association professionals who have found that the insulation business gets into your blood. Safety, product knowledge, cutting-edge insurance information, the most recent technical information available, the Foundation, industry training, alternate technologies, and commitment to the industry are just a few of the reasons why you should buy your insulation services from NIA members. 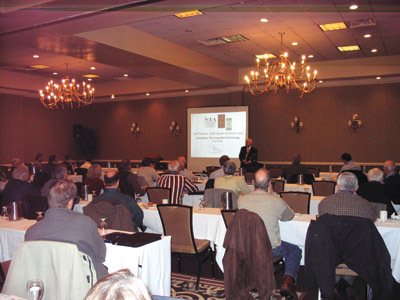 NIA member contractors, distributors, and manufacturers are exposed to state-of-the-art safety updates by Gary Auman, one of the leading attorneys in the United States in safety-related issues. Gary, along with Dale Hayden from PCI, an NIA member contractor, and Ted Brodie, another NIA member contractor, instituted the Theodore H. Brodie Distinguished Safety Award program several years ago to promote safety among all NIA members—contractors, manufacturers, laminators, and distributors. The result is companies that work hard to ensure they perform all facets of their business in a safe manner. This, of course, benefits your company because the safe vendor costs less. What are the safety implications to your plant if your insulation contractor’s personnel are not adequately trained in proper safety procedures? Does a poor safety program have an effect on your plant operations? How soon will you forget the low cost of the service if your plant suffers a loss due to personnel injury or shutdown due to careless workers? NIA member contractors receive the most up-to-date information about new materials in the market. Our members are afforded preview information about new insulation materials, vapor barriers, weatherproof finishes, fabricated materials, mastics, and other finishes. NIA members communicate regularly about the changes taking place in our industry and how these changes will benefit you, the end user. If a new cutting-edge material will enhance the operation of your facility but your non-NIA member contractor has no idea the material is on the market, what does that mean to your operation? Sure, you can get by with the lesser material, but wouldn’t you rather have the best? Wouldn’t you rather know that your insulation vendor is a member of NIA and has been exposed to the newest, finest, and most efficient insulations available? As a group, NIA members are exposed to insurance options we would otherwise not be familiar with. 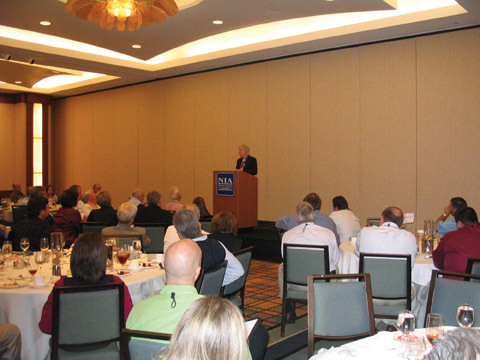 The best insurance information makes NIA members more competitive. NIA members hear about workers compensation, general liability, unemployment, and other insurance programs that assist our members in providing the best protection for our employees and customers. Can your insulation provider say that? The NIA Technical Information Committee consists of engineers from across the industry whose responsibility is to ensure that the materials offered in our industry meet the standards established by ASTM. When you are looking for a specific material, NIA was probably involved in ensuring it will do what it says. Does your vendor do that? NIA member contractors have the most highly trained personnel in the industry. Why is this so important? If the material you have specified is installed improperly, it may fail. If it fails, it may allow corrosion under the insulation. It may also allow condensation under the insulation or on the surface that will lead to mold growth on the vapor barrier. It may allow condensation to drip on the floors in your facility, which becomes a personnel hazard. It may allow water to enter the system, which will accelerate the deterioration of the material and render it useless. It may reduce the effectiveness of your process and cost you more money to operate. Improperly installed insulation may increase your plant’s greenhouse gas emissions. Is it important that your installer be familiar with the proper installation of the materials you have specified? The NIA Foundation has spearheaded the marketing and promotion of mechanical insulation to the construction, power, and refining industries, as well as to various levels of government. The Foundation has established strategic relationships with the American Society of Mechanical Engineers (ASME), Plumbing Heating Cooling Contractors Association (PHCC), American Society of Heating, Refrigerating, and Air-Conditioning Engineers (ASHRAE), Construction Specifications Institute (CSI), American Institute of Architects (AIA), Association of Energy Engineers (AEE), Mechanical Contractors Association of America (MCAA), and many other trade associations to promote the proper use of mechanical insulation. The Foundation is currently promoting insulation through training programs offered to the industry. The new Mechanical Insulation Marketing Initiative (MIMI) is developing relationships with the Department of Energy, insulation manufacturers, labor, and many other sectors of the industry to promote mechanical insulation as a way to conserve energy and reduce greenhouse gas emissions. Non-NIA members are not part of these positive programs. If your current insulation vendor is not a member of NIA, why not? Don’t you think you owe it to your facility to have the best? NIA members are committed to the industry. There is no other place you can go to find as many committed contractors, manufacturers, laminators, and distributors. These professionals give enormous amounts of time, talent, and money in support of the insulation industry. We support each other in promoting the safe and efficient installation of insulation materials. Wouldn’t you rather have a committed professional supplying and installing your insulation material? Or would you rather have a company that benefits from the activities of others without giving anything themselves? Is it time to ask the question? It is time to ask your insulation vendor, “Are you a member of NIA?” If the answer is no, find a vendor that is. Use only the best, and the best belong to NIA.